When you think pizza you think Italiano, but the origin of pizza goes back to ancient times. Greeks and Egyptians were cooking a pizza like flatbread and topping it with olive oil and spices. The “modern pizza” as we know it evolved in Naples Italy, when tomato was added to in the late 18th century. Americans love pizza in fact so much so that we eat about 100 acres of pizza everyday according to the National Association of Pizza operators. That’s a whopping 350 slices every second! According to a recent survey completed by Mintel It is estimated that 93% of Americans that eat pizza eat it at least once a month. Luis XIII in Salerno, Italy has the world’s most expensive pizza with a price tag of $12,000! This is no ordinary pizza, first the dough is aged perfectly before the chief arrives at your home. Yes, they will create this masterpiece in your home kitchen. Some of the ingredients include, three types of caviar, lobster from Norway, Cilento, bufala mozzarella cheese and grains of pink Australian sea-salt from the Murray River. Pizza in the morning? 36% of Americans eat pizza as a breakfast meal. Now, I don’t know if that is leftovers from the night before. I always think pizza tastes better the next day. It’s not to hard to figure this one out, but now we have the numbers to prove it! In a HarrisPoll® taken in January of 2016, pepperoni was found to be the most popular topping followed by Sausage at number two. 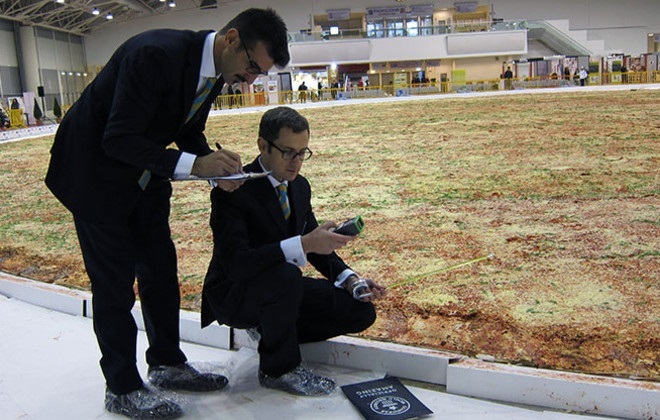 The biggest pizza in recorded history was prepared by Dovilio Nardi, Andrea Mannocchi, Marco Nardi, Matteo Nardi and Matteo Giannotte in Rome, Italy, on 13 December 2012. 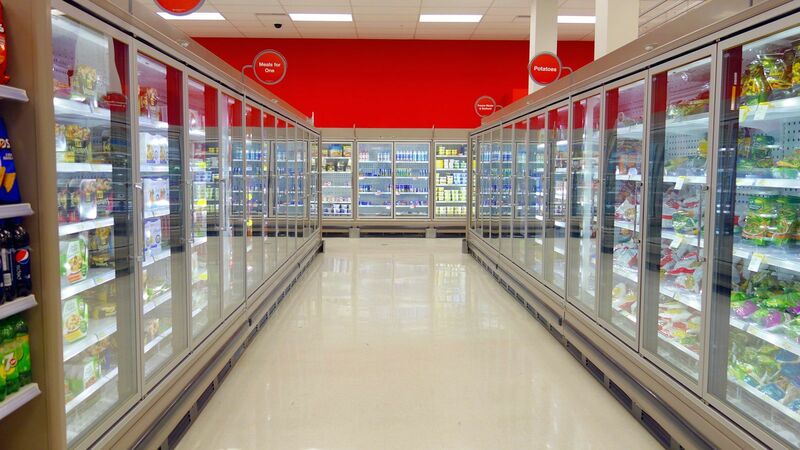 It had a total surface area of 13,580.28 ft². Guinness was on hand to document the massive pie! In 2001, the Russian Space Agency was paid more than a million bucks to deliver a six-inch pizza to the International Space Station. Russian cosmonaut,Yuri Usachov had the honor of being the first person to receive a pizza delivery while in orbit. Americans love football and they love pizza, so it fit together perfectly like two slices from the same pie. There are four other days that are full of pizza Halloween, the day before Thanksgiving, New Year’s Eve and New Year’s Day. The word “Pizza” was first documented around 997 AD in Gaeta, Italy. After that the name started to spread to different parts of central and southern Italy. Did you know that there is technical term for “crust”? Well there is, it’s called cornicione or the “end crust”. No matter what you call it, your kids will not eat it! Before World War II pizza was mostly enjoyed by Italian immigrants in their home communities. During the occupation of Italy, Allied troops began eating local foods to supplement sometimes dwindling rations. The local bakers could hardly keep up with the US soldiers demand for pizza, and when they came home after the war they brought their love for pizza back with them. It was created by the publisher of Pizza Today magazine, Gerry Durnell in October of 1984. 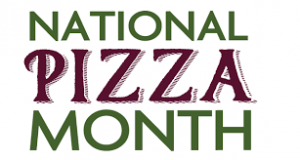 It is now an annually celebrated event, maybe the fact that Halloween is one of the busiest days of the pizza year helped Gerry decide to make October National pizza month? founded by Giuseppe Papa in 1912 on South Clinton Avenue in Trenton, New Jersey, this family owned pizzeria has operated continuously since opening day and still remains operated by the Papa family. Wow that’s a lot of money! It looks like pizza is great for the American economy. According to the American Pizza Community, US Pizzeria’s employ over a million people in 73,000 stores across the country. This is one of those records that makes you do a double take! It’s true, in 2006 Cristian Dumitru set a new world record surpassing Takeru Kobayashi by eating 200 pounds of pizza in a week. 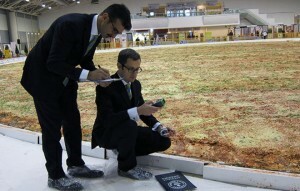 The international pizza expo is the world’s largest pizza industry show. Among the attendees will be pizzeria owners and operators, distributors and food brokers. Don’t book a flight to Vegas trying to find some great pizza, the expo is closed to the general public. It’s called the Pizza theorem, it states the equality of two areas that arise when one partitions a disk in a certain way. Who thought that pizza would contribute to basic geometry. When you think of delicious pizza toppings Mayo does not quickly come to mind, but in Japan Mayo on pizza is normal. The type of mayonnaise that is produced in Japan has a sweeter taste the what we use here in the states, though it still doesn’t sound any better. Earlier on this list we discovered that peperoni was the most popular pizza topping in a survey conducted by Harris Poll®. We probably could have just guessed at that one, and you could also easily guess anchovies are the least favorite topping. They stink! Literally. Apparently Kim Jong-il was very fond of pizza, so much so that he had Italian pizza chefs flown into Pyongyang to teach the craft. Disappointed with the retention of new skills learned he later had representatives flown to Naples and Rome to continue their education before the grand opening. New York, Chicago, Philadelphia and Trenton all had a large population of Southern Italian immigrants around the turn of the century. When they arrived they brought their love of pizza with them. I would not be until after World War II that the pizza would be widely known outside of those small communities. 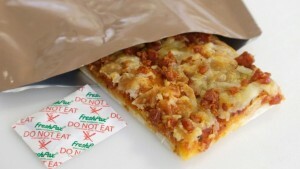 Tontino’s, which started as Totino’s Italian Kitchen is said to be the first company to offer frozen pizza in 1962. Apparently the y did pretty good, Pillsbury bought the company in 1975. In 1962 by Sam Panopoulos, a native of Greece who was running a pizzeria in Ontario Canada. Bored with only having three toppings available mushroom, bacon, or pepperoni he took down a can of pineapples from the top shelf and decided to throw it on pizza. The rest is history. 25. These two Famous people who got their start making and delivering pizzas. Bill Murray and Jean Claude Van Damme both worked at pizza restaurants, Van Damme used to be a delivery driver before he became famous. At the World Pizza Championships you would be competing against the best in five competitive events Freestyle Acrobatic Dough Tossing, Fastest Dough, Largest Dough Stretch, Fastest Pizza Box Folding and the Pizza Triathlon. There’s also the masters division of Freestyle Acrobatic Dough Tossing. This handy pizza can last for up to three years. Intended for soldiers abroad who just have to have a slice. Making its grand entrance in 2017 solders can open MRE #37 and enjoy their treat! Pizza Brain is home to the world’s largest collection of pizza memorabilia. That’s just not my opinion, back in 2011 Guinness certified the collection as “the world’s largest collection of pizza-related items”. A USDA food survey concluded that of consumed pizza amongst children 44% was at lunchtime, and 42% was consumed at dinner. The same study also found that adults consume a majority of their pizza at dinner. 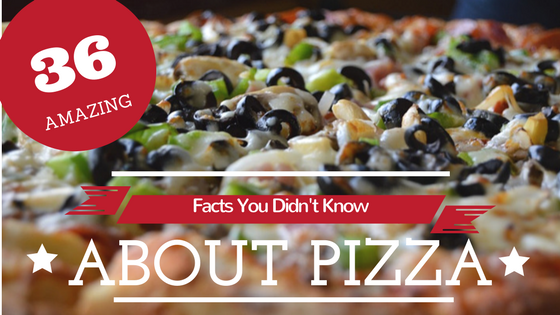 Being America’s most popular topping 689,780 pounds of pepperonis are eaten everyday! That’s over 344 tons a day, think of this. Blue whales are the largest animals ever known to have lived on Earth they weigh about 200 tons each. Minced mutton and pickled ginger are among other horrible toppings that rank high on the list as most preferred, what is minced mutton you ask? typically minced mutton is lamb or goat with peas or potatoes. Italian researchers have claimed eating pizza regularly reduced the risk of developing oesophageal cancer by 59%, colon cancer also fell by 26% & mouth cancer by 34%. According to the leading publisher of market research Packaged Facts the average American will eat 46 slices of pizza a year, or about almost six full pizza’s. Pepperoni with mushrooms and extra cheese. This was one of the first recorded purchases made online around 1994. Now more purchases are made online over any other method. Lombardi’s was the first pizza shop opened in the United States back in 1905. It is still located in Little Italy section of Manhattan today. Even though Lombardi’s was the first, they did close their doors for a short time making Papa’s Tomato Pies America’s Oldest Continuously Operating Pizzeria. I know what you’re thinking, what is a Kilocalorie? Well, here you go “The word “calorie” is used by dietitians to mean kilocalorie when measuring the calorific, heating or metabolizing value of foods”. 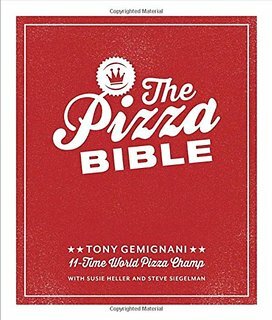 If you go to Amazon and search for “Pizza Books” you will be bombarded will 26,484 results. Wow, a lot of people must really like to read about pizza!